Creating a website cannot be more easy if you use our website builder for this work. It is a powerful tool for making your website based on what you think is the best for you. Design your site on your computer and we’ll make sure it look the way it should on all platforms and devices, including iPhones, iPads and other smartphones and tablets. It automaically optimise your website for search engines (google,bing,yahoo and others) and make it easy for you to share your content and products on social sites such as Facebook, twitter, google plus, pinterest, linkedin and all major ones, with built-in sharing features. 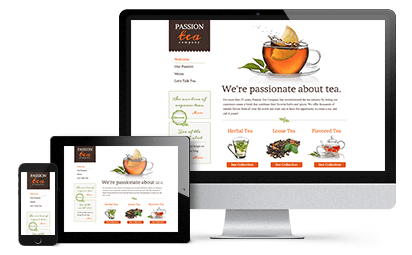 With user friendly navigation, 300+ templates to choose, and drag-and-drop functionality, your website will be up and running in just a few minutes. No technical skills or coding required. From our new Design Wizard you can customize the website in just 3 simple steps. It is easy and fun. Plus you got a team of experts helping you in every work you do in your website. All website are optimized on every screen size, computers, monitors, tablets, smartphones. This is all done by automatic mobile site converter, powered by DudaMobile. Each plan comes packed with everything you need to build a full-featured and georgeous website including FREE hosting and email. A website is your first step in growing business in the internet world. Do not miss this opportunity as your competitors can easily move ahead of you. We offer Website Builder which makes amazing websites for you to grow your business online. Everyone can use it easily as it does not require coding skills from you. It’s packed with high class features helping you to get new customer fast.